Our inflatable combo castles are designed for the kids’ royal needs. These colorful inflatable combo castles provide triple long-lasting fun and laughter throughout the whole bouncing season. As manufacturers of kids’ fun, we take into account that children get more attracted to bright vibrant colors that make bouncing even more joyful and delightful. Plus, we add some other kids’ activities to that like climbing and sliding. Apparently, you get triple inflatable fun in just one combo jumper. 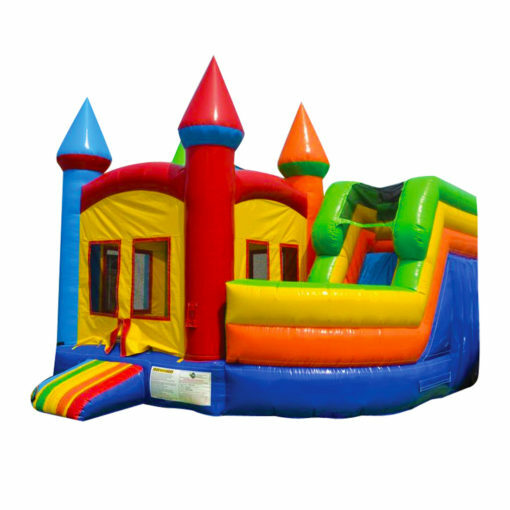 These colorful inflatable combo castles provide triple long-lasting fun and laughter throughout the whole bouncing season. Our inflatable combo castles are designed for the kids’ royal needs.